Crystal Coast visitors who want a pristine beach environment won’t have to venture very far, thanks to the outlying Cape Lookout National Seashore. Following the outskirts of Beaufort, Morehead City and Cedar Island, and offering miles of undeveloped shoreline to go around, this uninhabited destination is a fine spot for adventurous shell hunters, fishermen, hikers, birdwatchers, and lighthouse fans to explore the Crystal Coast’s wild side. The Cape Lookout National Seashore was established in 1966 and was designated as a North Carolina Natural Heritage Area just 20 years later. The National Seashore stretches for 56 miles and is a skinny collection of completely undeveloped barrier islands, known as the North Core Banks, the South Core Banks, and the Shackleford Banks. A 2011 hurricane has added a couple more inlets, breaking apart the original three barrier islands slightly, but virtually all areas of the shoreline are accessible by a passenger or vehicle ferry, or a personal watercraft. The Cape Lookout National Seashore starts on the southern end of Ocracoke Inlet, or the northern tip of Historic Portsmouth Island, and extends all the way to the southern / western edge of the Shackleford Banks, which are found right across the sound from Downtown Beaufort. While rustic campgrounds and visitors’ centers are found within the National Seashore, there are no commercial facilities, homes, shops, or any development whatsoever. As a result, it’s a refreshing landscape for visitors who want to enjoy a natural Outer Banks setting. Cape Lookout National Seashore is distinctive for a trio of natural features and / or historic sites. Portsmouth Village, which is found on the southern end of Portsmouth Island, is famed as a historic village and a former popular port town along the North Carolina Coastline. Established in 1753, this now deserted community was one a thriving local port with a population that hovered around 1,000 by the 1860s. The opening of new inlets and the gradual closing / shallowing of the inlet near Portsmouth led to the village’s decline, and the Post Office closed in 1959, further cementing its downfall. 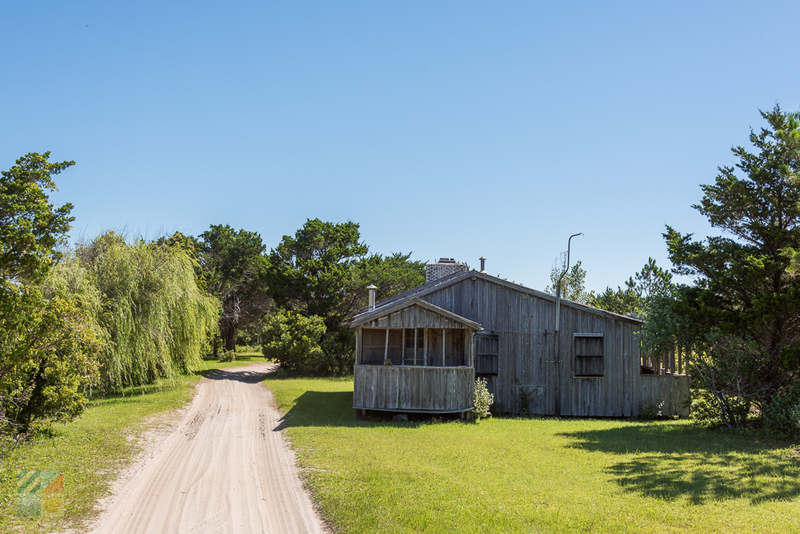 By the 1960s, the property was acquired by the National Park Service, and the last two residents on Portsmouth Island – two elderly women – finally left the community in the 1970s. Today, the former village is a perfectly preserved ghost town, with a local Methodist church, general store, and other residences still intact and open to visitors. It can be explored via an ATV tour, on foot, or via a 4WD vehicle, and is a unique step back in time to an eerily long gone era. The Cape Lookout Lighthouse is located in the heart of the South Core Banks, and is one of the most distinctive of the Outer Banks lighthouses, due to its diamond black and white pattern, and hard to reach locale. The lighthouse stands 163’ ft. tall into the sky, and was constructed in the late 1850s to protect and guide mariners through the deadly Graveyard of the Atlantic waters just offshore. 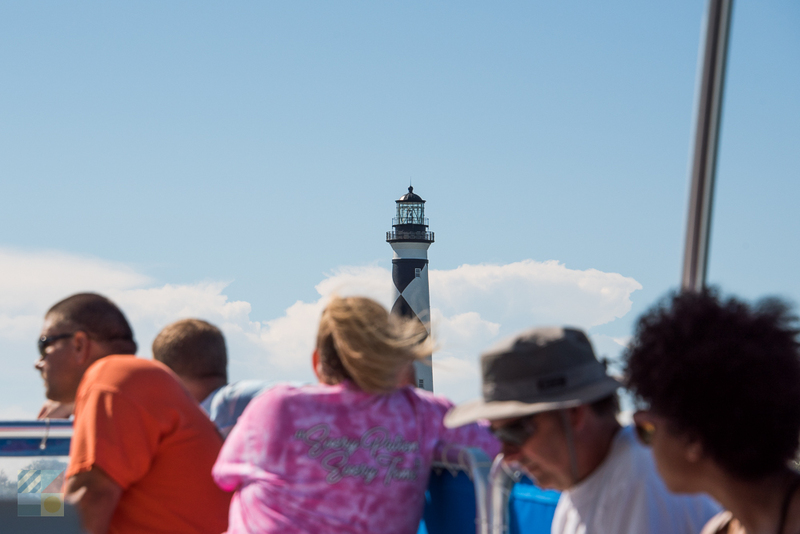 The lighthouse is seasonally open to climbers in the summer months for a small fee, and visitors who brave the 207 steps to the top will be treated to incredible panoramic views that extend from the open ocean to neighboring Harkers Island. Its beacon, which extends for 12-19 miles, can also be visible from veritably any soundfront home along Harkers Island or even Cedar Island. The Banker Ponies are found throughout the South Core Banks and the Shackleford Banks, and are herds of wild horses that freely roam the shoreline. These horses are thought to be the descendants of Spanish mustangs who were shipwrecked along the coastline in the 1500s, and who apparently washed ashore and thrived throughout the centuries. 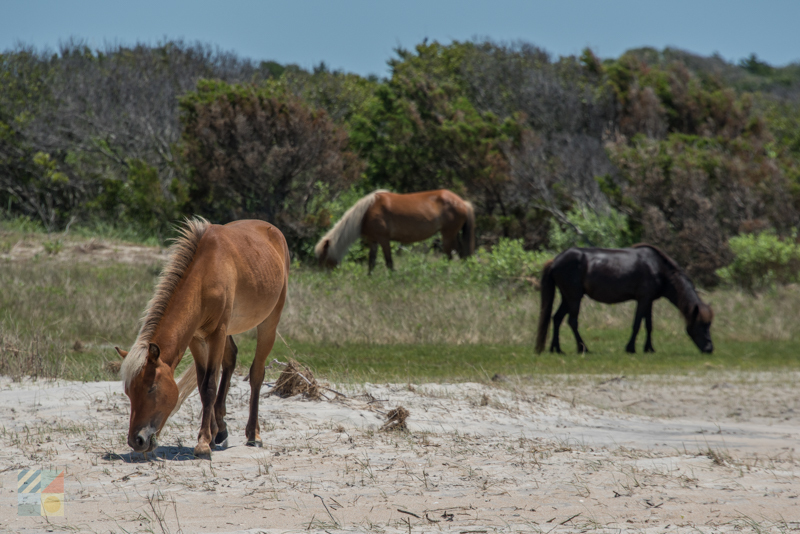 Smaller but more bulky than traditional horses, these feral animals can be spotted throughout the National Seashore, often from the vantage points of vessels cruising through the sound waters. Tours and sightseeing cruises are available for visitors who want to see these creatures up close, although explorers who encounter the horses while on a beach trip or hike are cautioned to keep their distance. Although they look tame, these horses are completely wild, and should never be approached by humans. The Cape Lookout National Seashore is easily the most difficult stretch of shoreline to reach along the Crystal Coast, but many longtime visitors attest that getting to these barrier islands is half the fun. There are a number of ways to reach the beach, which can accommodate explorers of all budgets and travelling styles. Vehicular Ferry – Driving on the beach is allowed on the North Core and South Core Banks of the Cape Lookout National Seashore, and is a fun and effortlessly way to explore the region in its entirety. A 4WD vehicle or ATV is absolutely required, and drivers will want to slack down the tires of their truck to 15-20 psi in order to safely navigate the often soft sand along the beach. Established sand tracks are located throughout the shoreline, and there are often both “inside” sandy paths as well as routes long the beach to follow. To reach the North or South Core Banks with a 4WD vehicle, visitors will have to utilize a privately owned vehicular ferry. There are three vehicle ferries that access the Cape Lookout National Seashore and which are sanctioned by the National Park Service. Davis Shore Ferry Service and Cape Lookout Cabins & Camps Ferry Service both depart out of the town of Davis on Cedar Island, while Morris Marina Ferry Service departs from the nearby town of Atlantic. Rates vary depending on the size of the vehicle, and reservations must be made well in advance – especially during the summer months and in the prime fall fishing season. Passenger Ferry - There are a number of strictly passenger ferries that also reach points throughout the Cape Lookout National Seashore, (and it should be noted that the three Cape Lookout vehicular ferries can accommodate passengers as well.) 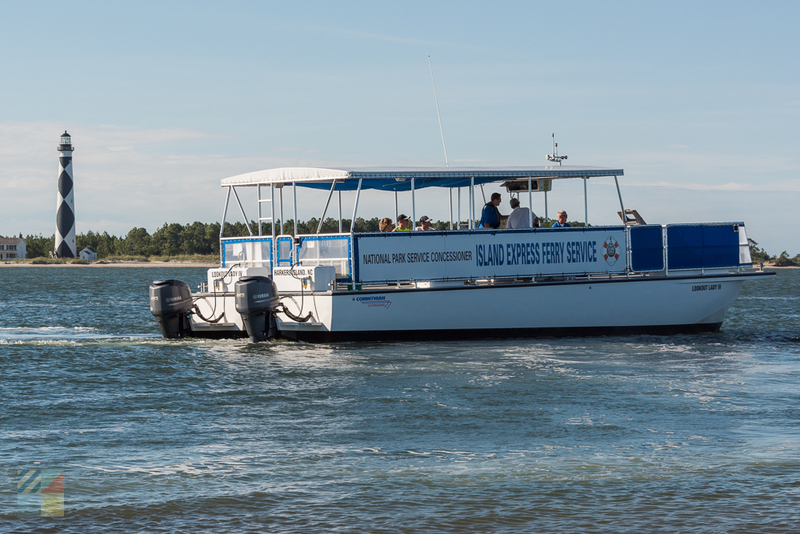 Visitors in Beaufort can access the Shackleford Banks as well as the Cape Lookout Lighthouse via the Island Express Ferry Service which is located along the central downtown docks. Island Express Ferry Service also has a departure point for the Cape Lookout Lighthouse in Harkers Island. Ferry trips generally take 20-45 minutes, depending on departure point and destination, and are held throughout the day in the spring, summer and fall months. Like vehicular ferries, passengers will want to book online as far in advance as possible, as spots can fill up fast. Private Cruises and Tours - A number of local boat and cruise companies offer tours of the seashore via cruises that explore the waterfront coastline. Many cruises and tours can be booked or researched with a visit to the heart of Downtown Beaufort, as the adjacent docks serve as the home for a number of options, including shelling cruises, wild horse cruises, and sunset tours. Visitors can also book an inshore charter from the docks of Beaufort, Morehead City, or Harkers Island, as the region is home to dozens of inshore charter and cruise businesses that frequent the outlying barrier island coastline. Privately Owned Vessel – Visitors who have a skiff, John boat, or other seaworthy vessel in town can also make their own way to the Cape Lookout National Seashore via an easy cruise across the Core or Back Sounds. 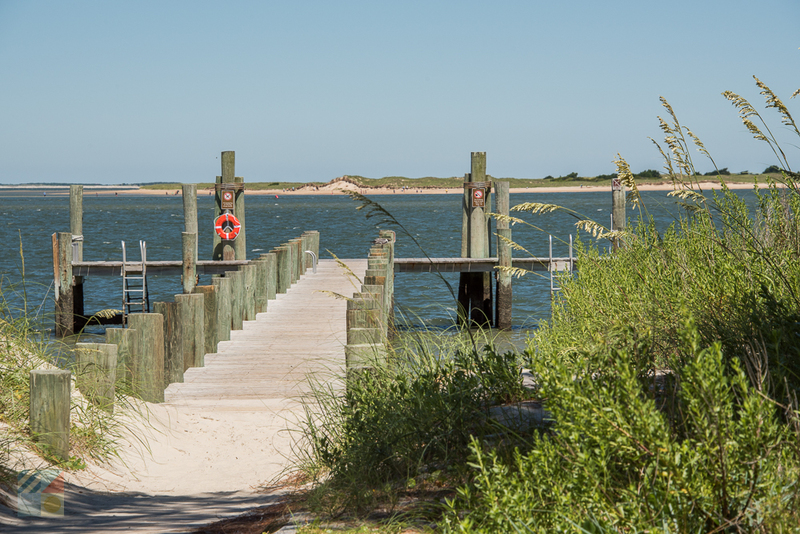 Several boat ramps and launches can be found throughout Harkers Island, Cedar Island, and the town of Beaufort, and once on the island, it’s easy to dock close to shore in the shallow sound waters and hop off to explore the scene. In fact, it’s not unusual to spot dozens of small vessels docked along the soundside beaches in the summer months, when water and weather conditions are traditionally clear and inviting. 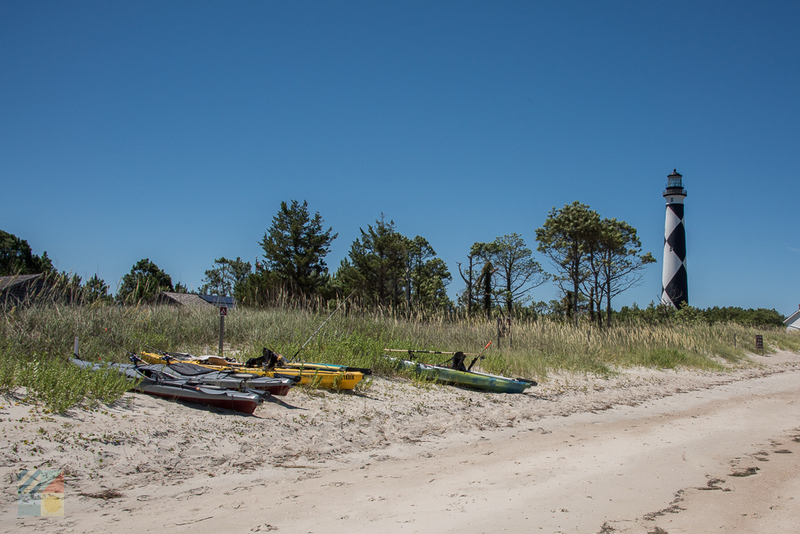 Although it’s possible to access the Cape Lookout National Seashore via a kayak or canoe, it should only be tackled by very experienced paddlers. 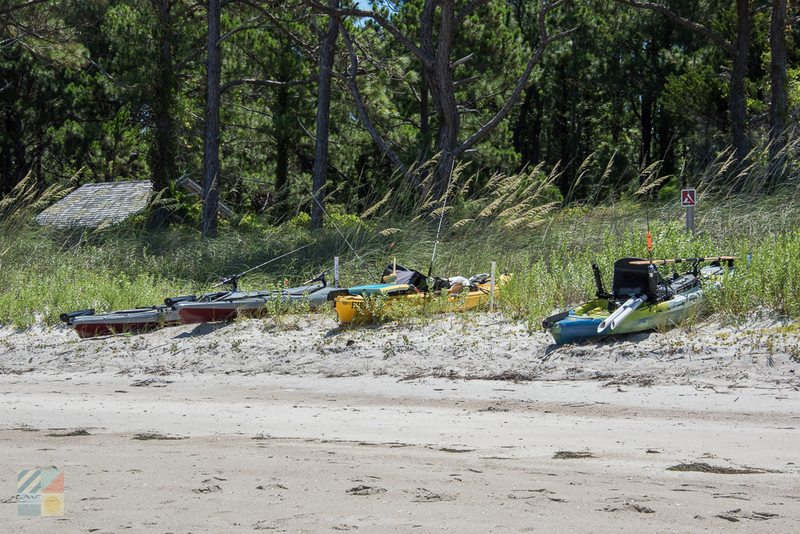 The currents close to Ocracoke and Beaufort Inlets can be especially strong for even the most dedicated paddlers, and the miles-long trek can tire any adventurer out and quickly. Shelling – The Cape Lookout National Seashore is well-known as one of the best shelling destinations on the East Coast due to its geographic locale, its proximity to major transatlantic currents – the Gulf Stream and the Labrador Current – its seasonal series of hurricanes and nor’easters, and its general desolation. As a result of these factors, shell hunters can expect to find a veritable wealth of treasures throughout the year, including Scotch Bonnets (the North Carolina State Shell), whelks, helmet conchs, Florida fighting conchs, tulip shells, scallops, olive shells, moon snails, augers, sand dollars, and so much more. If possible, scour the beaches around the inlets after a passing storm or hurricane for the best chance of finding piles of valuable and rare shells. You’ll also want to arrive as early as possible – the secret is out, and in the summer, plenty of shell hunters make a trek to the National Seashore to patrol the beaches for exceptional finds. 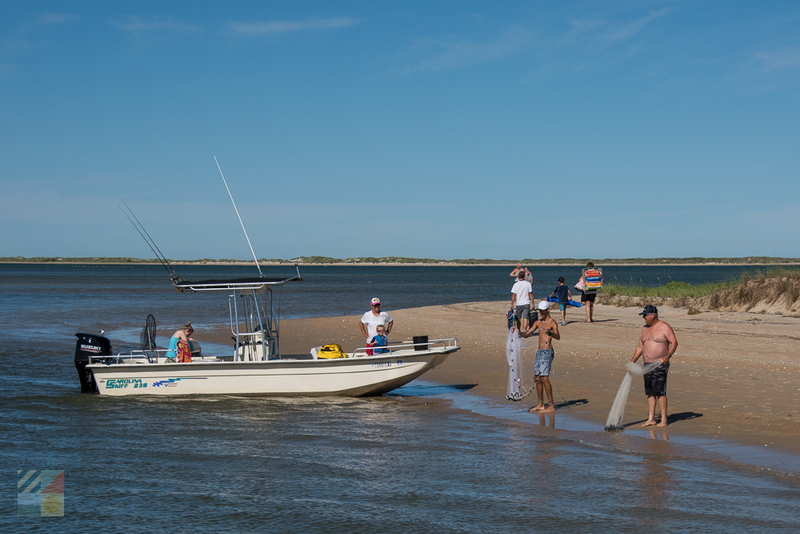 Fishing – The same factors that make the Cape Lookout National Seashore a paradise for shell hunters also contribute to its reputation as a world-class fishing destination. Depending on the season, anglers can expect to reel in a wide variety of species simply by casting from the ocean-facing surf, including Spanish and king mackerels, cobia, flounder, spot, croaker, sea mullet, bluefish, puffer fish, sharks, and drum of all sizes. The best times for fishing are the mid-spring and fall months, (and especially the fall), when migrating species like the big red drum make their semi-annual appearance. Birdwatching – There are hundreds of different species of birds that land on the Cape Lookout National Seashore, especially in the fall and spring months when migratory birds make a temporary stop within the park’s boundaries. 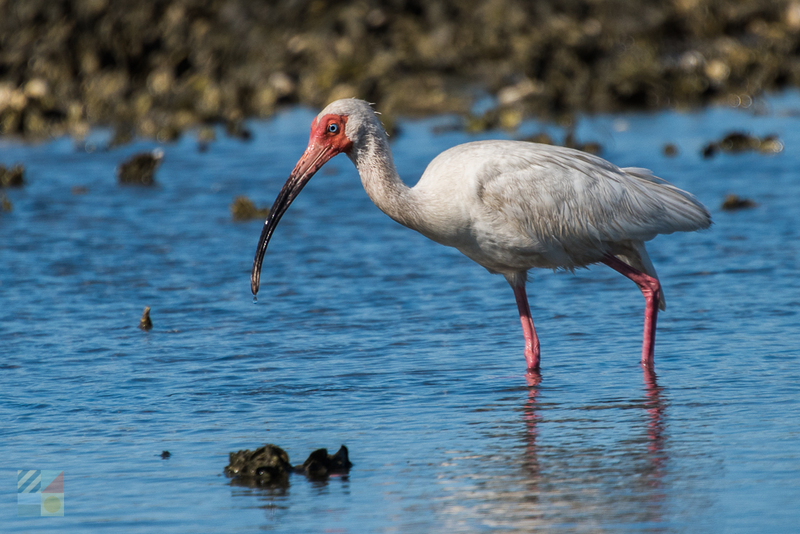 Look for impressive coastal species that make regular appearances throughout the summer and shoulder seasons including egrets, herons, piping plovers, American oystercatchers, and ibises for some photo-worthy shots of the local wildlife at its best. 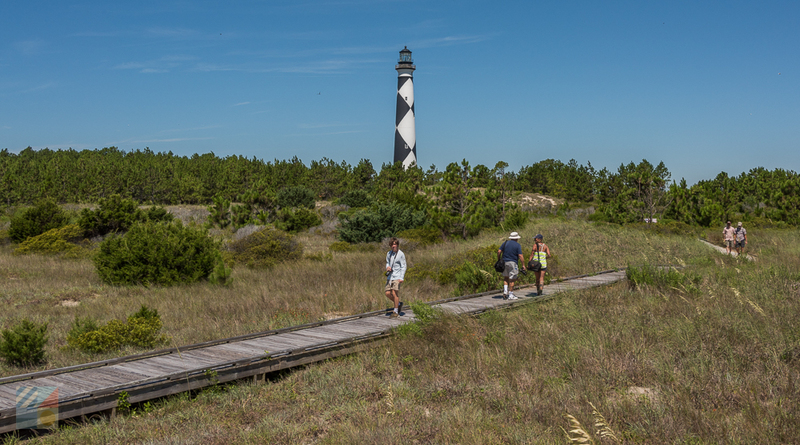 Hiking – Whether you are exploring the wide paths that wind through Portsmouth Village or just taking a stroll along the seashore, Cape Lookout is a fine destination to embark on a trek through miles of undeveloped terrain. Just bring along plenty of water and bug spray, as the mosquitos can be thick, and the facilities are obviously limited. Watersports – Cape Lookout is a fine destination for swimming, surfing, kayaking, paddle boarding, and a myriad of other watersports that can be enjoyed along the sound or ocean-facing beaches. Use plenty of caution when taking a dip, (as there are no lifeguarded beaches within the seashore), and steer clear of the “points” or inlets where the currents can be swift and can change at a moment with an incoming or outgoing tide. Special National Park Service Programs – the National Park Service (NPS) hosts a series of seasonal programs for visitors which can launch from Portsmouth Island, the Cape Lookout Lighthouse and Visitors Center, the Shackleford Banks, and other popular spots along the shoreline. From expert guided tours of the local horses or beaches, to special kids’ ranger programs designed for the National Seashore’s youngest visitors, there’s a lot to explore both on and off the beach with the help of a local expert. Check out the NPS’s website at https://www.nps.gov/calo/planyourvisit/ranger-programs.htm for a list of seasonal programs and events that coincide with an upcoming visit. As stated, there are no hotels, motels, or privately owned vacation rentals on the Cape Lookout National Seashore, however, beach fans do have the option to stay at rustic NPS-managed “cabins” which are located on the South Core Banks and the North Core Banks (Portsmouth Island), respectively. The Great Island Cabins are located in the South Core Banks, and are a collection of 25 cabins that offer 4-12 bunks per unit, depending on the individual cabin. Ranging from 188’ – 960’ square feet, these cabins include a private screened porch, a hot water heater, a private bathroom with shower, a table and chairs, a kitchen with propane oven/stove (propane included), bunk beds with mattresses, and a charcoal grill. The cabins do NOT include air conditioning, linens, bedding, cookware, or a refrigerator, and while they are wired for electricity, visitors must provide their own generator. The Long Point Cabins are located on Portsmouth Island and are a collection of 20 cabins that are about 500 square feet each, and which boast 6 bunk beds per cabin. These cabins are duplex style and can be octagon or rectangular shaped, and feature an unscreened porch that’s shared by both cabins. Electricity IS provided in these cabins, and each unit features a private bathroom with shower, a hot water heater, table and chairs, a kitchen with oven/stove (with propane included), bunk beds with mattresses, and a charcoal grill. Some of the cabins may also have air conditioning. The cabins do NOT include linens, cookware, bedding, or a refrigerator. All cabins must be booked well in advance, and visitors will want to plan their vacation as soon as possible, as reservations can fill up very quickly. Cabins are generally open from Mid-March to Thanksgiving weekend. And can range in cost from about $100-$150 per night, depending on both the individual unit and the season. While there are no established campgrounds within the seashore, primitive camping is also allowed in all three regions, (North Core Banks, South Core Banks and Shackleford Banks), all year round. Vehicle camping is also permitted on the North and South Core Banks from March until November. Open campfires can be built below the high tide line, and grills and other cooking devices are permitted throughout the National Seashore, expect for Portsmouth Village, and the Cape Lookout “Village” close to the Cape Lookout Lighthouse. All food and waste must be taken out of the National Seashore with you – there is no trash pick-up anywhere along the Cape Lookout National Seashore. When you book a passenger ferry, you will usually need to reserve a departure time as well as a return time. Expect to spend at least 2-3 hours exploring the shoreline. Remember you can always catch an earlier ferry ride back as needed, assuming there is room. To reach the best shelling beaches in the South Core Banks, (aka, the “Point” of Cape Lookout), visitors without a 4WD vehicle can utilize an on-island taxi service that accesses these beaches for a small additional fee. The “taxi,” (which is a custom pick-up truck), typically waits for potential passengers by the ferry docks by the Cape Lookout Lighthouse. Bug spray, bug spray, bug spray! The Cape Lookout National Seashore is notorious for its mosquito population, especially when you venture inland from the waterfront beaches. Bring lots of water and snacks. While there are water facilities in Portsmouth Village and at the Visitors Center near the Cape Lookout Lighthouse, there are no other ready supplies of fresh water throughout the 56 mile-long island, and no vending machines or other food vendors. Visitors with mobility issues will want to reach the Cape Lookout National Seashore via a vehicle ferry, as the hop off and on the boat can be a little tricky for passengers, and can include a climb up several stairs to the docks. Several of the cabins at Great Island and Long Point may be handicapped accessible – ask specifically about handicapped facilities before you go. Bring along extra bags for shells and for trash, and take out everything you bring in. Do not disturb the local wildlife, especially the feral horses – they are inherently wild and are not accustomed to being approached by human visitors. Public restrooms are found on Portsmouth Island and at the Cape Lookout Visitors Center, but there are no other facilities available throughout the National Seashore. Shell hunters will want to try to time a trip a couple days after a hurricane or storm has passed through the area. When the waters calm down after the storm, that’s typically when the best shells make an appearance. The Cape Lookout National Seashore is a paradise for visitors who crave desolate shorelines, great fishing, exceptional shelling, and not much else. A prime destination for beach purists, this National Seashore is a gem along the otherwise developed Crystal Coast shoreline. Where is the Cape Lookout National Seashore? The Cape Lookout National Seashore is often considered the southernmost region of Outer Banks, and is a string of barrier islands that are located off the North Carolina mainland. The Cape Lookout National Seashore is situated off the coast of Cedar Island, Harkers Island, and the town of Beaufort. It is bordered to the north by Ocracoke Island, and is bordered to the southeast by Atlantic Beach and the Fort Macon State Park. How do you get to the Cape Lookout National Seashore? The only way to access the Cape Lookout National Seashore is by a passenger ferry, vehicular ferry, or by a personal watercraft. There are a number of privately owned ferries and tour boats that launch from the communities in Cedar Island, Beaufort, Harkers Island, Morehead City, and Ocracoke Island, which all access various components or islands of the seashore. Are there vehicle ferries to the Cape Lookout National Seashore? There are several privately owned vehicle ferries that access the Cape Lookout National Seashore, which includes one that launches from the town of Atlantic which accesses Portsmouth Island, and at least one that launches from the town of Davis which accesses Cape Lookout and the Cape Lookout Lighthouse. Are there passenger ferries to the Cape Lookout National Seashore? There are a number of passenger ferries and tours which access various islands within the Cape Lookout National Seashore. Ferries and tours for pedestrians are found on Ocracoke Island, Harkers Island, and in the towns of Beaufort and Morehead City along the Crystal Coast. Vehicle ferries that launch from the towns of Atlantic and Davis on mainland Carteret County can also accommodate walk-on passenger. Can you drive to the Cape Lookout National Seashore? There is no way to drive to the Cape Lookout National Seashore, as the string of isolated islands are only accessible by a boat. Can you drive from island to island in the Cape Lookout National Seashore? 4WD vehicles that access the Cape Lookout National Seashore cannot drive from island to island, as the primary islands that are located within the seashore, (Portsmouth Island, the Core Banks, and the Shackleford Banks), are separated by small inlets. How large is the Cape Lookout National Seashore? The string of barrier islands that make up the Cape Lookout National Seashore are 56 miles long, from the northern tip of Portsmouth Village to the southeastern tip of the Shackleford Banks. Where are the wild horses on the Cape Lookout National Seashore? The wild horses of the Cape Lookout National Seashore can be spotted on the Shackleford Banks, and along the Core Banks – particularly close to the Cape Lookout Lighthouse. There are no wild horses to speak of on the northernmost portions of the Cape Lookout National Seashore, also known as Portsmouth Island. Is Hatteras Island part of the Cape Lookout National Seashore? Hatteras Island is part of the Cape Hatteras National Seashore, which is north of the Cape Lookout National Seashore. Is Ocracoke Island part of the Cape Lookout National Seashore? Ocracoke Island shares the Ocracoke Inlet with the Cape Lookout National Seashore, but the island itself is part of the Cape Hatteras National Seashore. Is Portsmouth Island part of the Cape Lookout National Seashore? Portsmouth Island is the northernmost component of the Cape Lookout National Seashore. Are the Core Banks part of the Cape Lookout National Seashore? The Core Banks are part of the Cape Lookout National Seashore. Are the Shackleford Banks part of the Cape Lookout National Seashore? The Shackleford Banks are at the southernmost and easternmost end of the Cape Lookout National Seashore. Portsmouth Village is located in the northernmost section of the Cape Lookout National Seashore, and is a small village that was a thriving port community for hundreds of years until it was abandoned by residents in the latter 20th century. The village still has a number of its original buildings and homes, but has been uninhabited since the last two residents left in 1971. 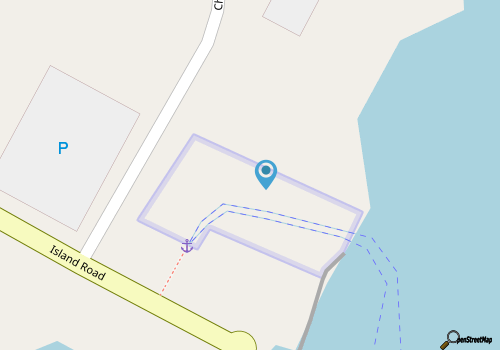 Can you stay in Portsmouth Village? Visitors cannot stay within any of the homes or structures in Portsmouth Village, however, camping is allowed along the beaches of Portsmouth Island, and there are cabins available to rent via the Cape Lookout National Seashore on the southern and opposite end of the island. Where can you stay in the Cape Lookout National Seashore? Cabins are available to rent through the Cape Lookout National Seashore on both the South Core Banks, (near the Cape Lookout Lighthouse), and the North Core Banks (on Portsmouth Island.) Other than these several dozen cabins at each locale, only primitive camping is available within the Cape Lookout National Seashore. Arte their rental homes or motels in the Cape Lookout National Seashore? The National Park Service manages several dozen cabins at two sites within the Cape Lookout National Seashore – in the South Core Banks near the lighthouse, and in the North Core Banks on the southern tip of Portsmouth Island. Other than these cabins, there are no motels, vacation rental homes, or other lodgings available within the Cape Lookout National Seashore. Are there restaurants in the Cape Lookout National Seashore? There are no restaurants, grocery stores, or food vendors of any kind on the barrier islands of the Cape Lookout National Seashore. Are there restrooms in the Cape Lookout National Seashore? There are several restrooms that are scattered throughout the Cape Lookout National Seashore, and which are primarily found next to the South Core Banks cabins, the Portsmouth Island cabins, and the Cape Lookout Lighthouse. Other than these limited sites, there are no additional restrooms or visitor facilities. Are there stores or businesses in the Cape Lookout National Seashore? There are no stores, businesses, or commercial structures of any kind within the Cape Lookout National Seashore. As such, visitors will want to bring along their own food, drinks, sunscreen, and other beach supplies. Does anyone live in the Cape Lookout National Seashore? Though there are park rangers that seasonally stay at the Cape Lookout National Seashore, there are no permanent residents on any of the barrier islands that make up the seashore. When was the Cape Lookout National Seashore established? The Cape Lookout National Seashore was authorized and established on March 10, 1966. 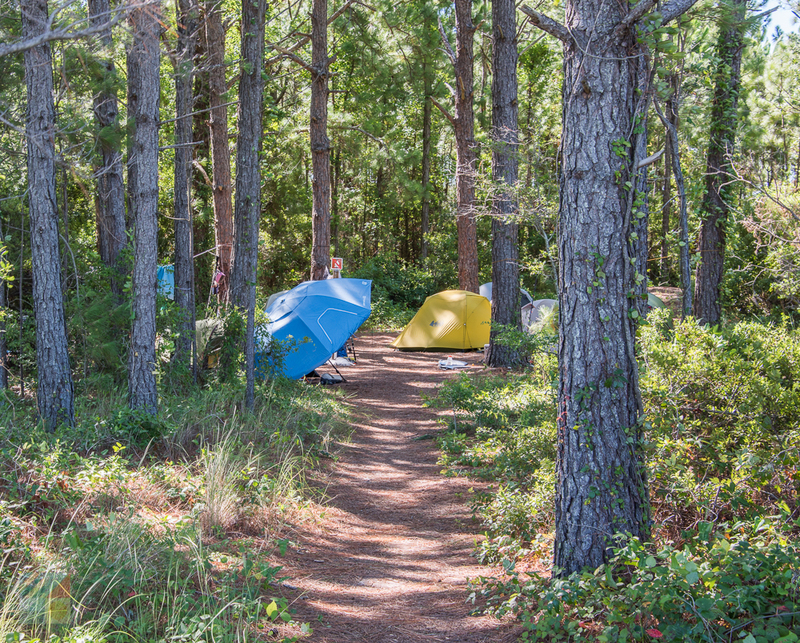 Can you camp in the Cape Lookout National Seashore? 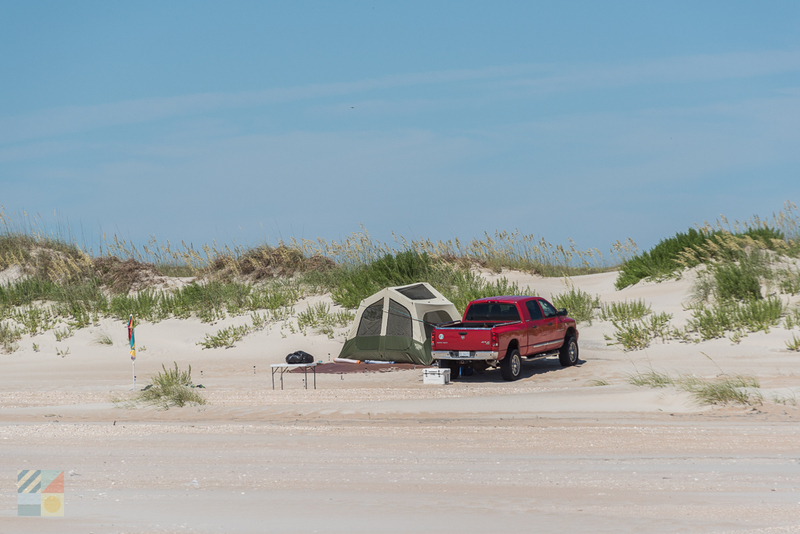 Visitors can camp throughout the Cape Lookout National Seashore, although should note that camping is not permitted on Harkers Island, in Portsmouth Village, in the Cape Lookout Light Station complex, in the Cape Village (including the Cape Lookout Coast Guard Station), in long term parking areas, or on property held under private lease. Visitors should also not camp on top of the dunes, in order to maintain the vegetation. There are also several dozen rustic cabins, which are managed by the National Park Service, and which are found on the North Core and South Core Banks. 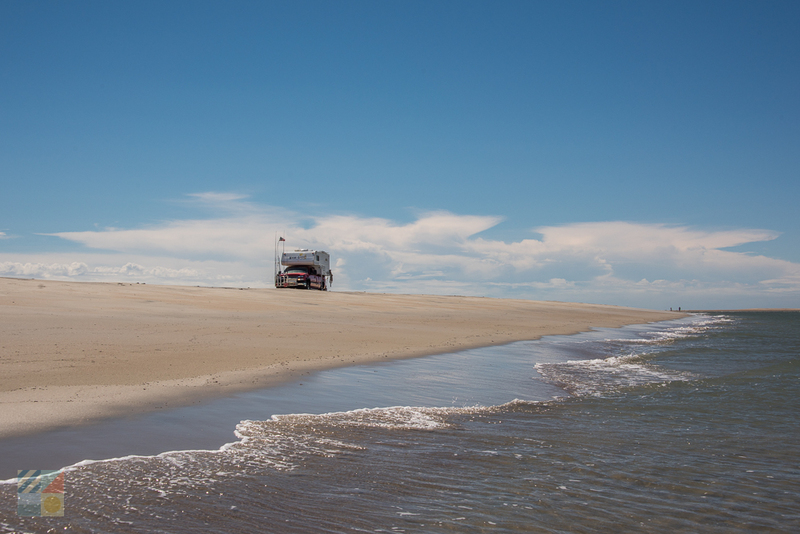 Can you drive on the beaches in the Cape Lookout National Seashore? Visitors are allowed to drive throughout the Cape Lookout National Seashore, with the exception of the southeastern most region of the National Seashore, also known as the Shackleford Banks. 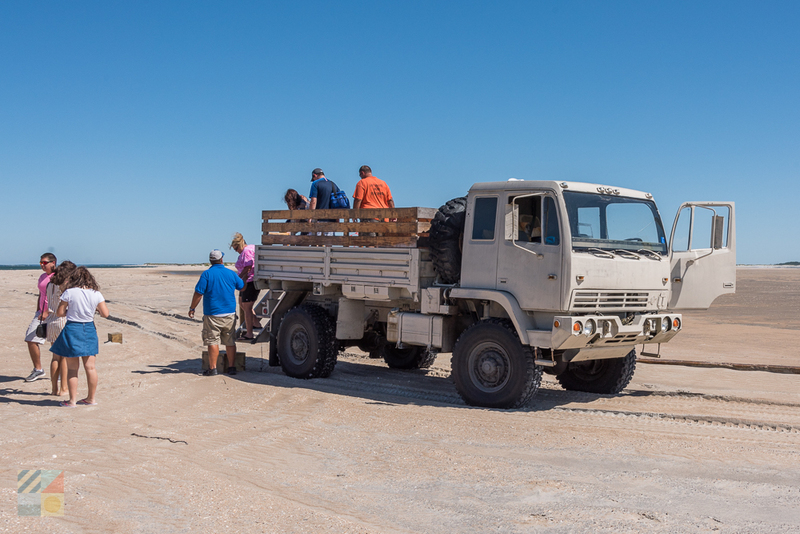 A 4WD vehicles is required to drive on the beaches, as there are no paved roads of any kind within the Cape Lookout National Seashore. Are there special events at the Cape Lookout National Seashore? The National Park Service hosts a number of seasonal and educational programs for visitors to the Cape Lookout National Seashore, and the seashore is also home to the annual Portsmouth Island Homecoming in April, which is a gathering of the friends and descendants of the original Portsmouth Village residents. What are the attractions in the Cape Lookout National Seashore? The Cape Lookout National Seashore is home to a number of unique attractions, including the Cape Lookout Lighthouse, the historic Portsmouth Village, and the Shackleford Banks’ wild horses. The primary attraction of the Cape Lookout National Seashore, however, are the pristine and undeveloped beaches, which stretch for approximately 56 miles. Are there lighthouses in the Cape Lookout National Seashore? The Cape Lookout National Seashore is the home of the Cape Lookout Lighthouse, which is the southernmost Outer Banks lighthouse, and which is distinctive for its black and white diamond pattern. How do you visit the lighthouse in the Cape Lookout National Seashore? Visitors can take a private watercraft, passenger ferry, or vehicular ferry to access the Cape Lookout Lighthouse in the Cape Lookout National Seashore. How can you get a 4WD vehicle to the Cape Lookout National Seashore? 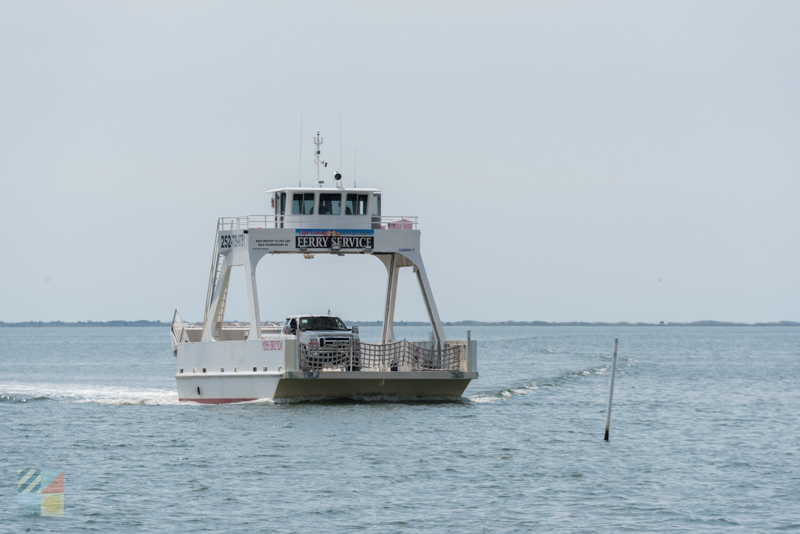 There are several vehicular ferries that access the North and South Core Banks of the Cape Lookout National Seashore, (also known as Cape Lookout and Portsmouth Island.) These ferries launch from mainland Cedar Island / Carteret County, in the towns of Atlantic and Davis. Is there a fee to visit the Cape Lookout National Seashore? There is no fee to explore the Cape Lookout National Seashore, however, there is a fee to access the isolated barrier islands via a vehicular or passenger ferry. There is also a small fee to climb the Cape Lookout Lighthouse. Are there public beach accesses in the Cape Lookout National Seashore? There is no set public beach accesses along the Cape Lookout National Seashore, as all of the beaches are open to the public. What beaches are open to the public in the Cape Lookout National Seashore? All of the beaches are open to the public on the Cape Lookout National Seashore, barring any small and limited closures for endangered sea turtle nesting or other wildlife protection efforts. Are there lifeguards in the Cape Lookout National Seashore? There are no lifeguards within the Cape Lookout National Seashore. When do the ferries run to the Cape Lookout National Seashore? Passenger and vehicular ferries to the Cape Lookout National Seashore are seasonal, and generally run from March until late November, after the Thanksgiving holiday. Are there hiking trails in the Cape Lookout National Seashore? There are several rustic hiking or ORV trails that border the soundside and the oceanside dunes of the Cape Lookout National Seashore, which are found along Portsmouth Island and the South Core Banks. What are the best beaches in the Cape Lookout National Seashore? Visitors will find miles of pristine shoreline to go around within the Cape Lookout National Seashore. The Shackleford Banks are arguably the most popular as well as the easiest to get to, while the point of Cape Lookout is known for great shells, and Portsmouth island is renowned for great fishing and shelling. Are there shells in the Cape Lookout National Seashore? The Cape Lookout National Seashore has a secretive reputation as being one of the best shelling destinations in North Carolina, thanks to its proximity to the Gulf Stream and the Diamond Shoals, as well as its inherent isolation. What kind of shells can you find at the Cape Lookout National Seashore? There are a myriad of shells that can be found within the Cape Lookout National Seashore, including whelks of all varieties, olive shells, helmets, scallops and other bivalve shells, conchs, and even the Scotch Bonnet, which is the relatively rare state shell of North Carolina. Where are the best fishing spots in the Cape Lookout National Seashore? 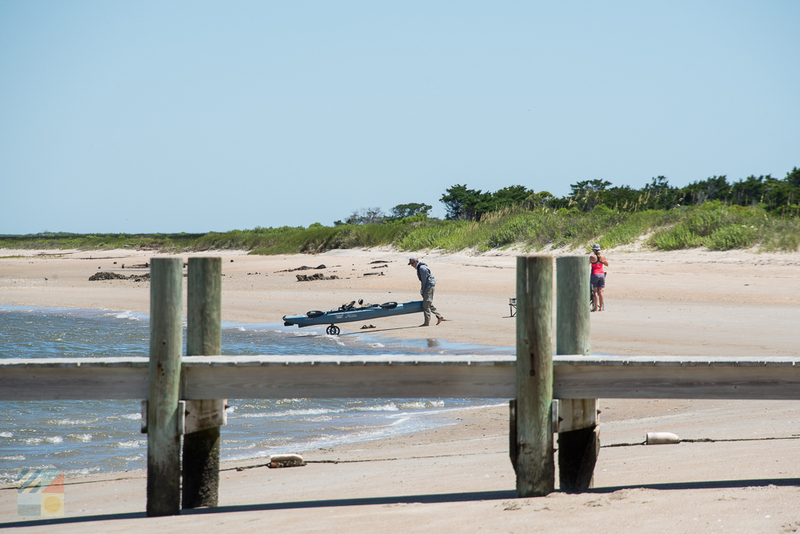 The Shackleford Banks as well as Portsmouth Island are both popular fishing spots for anglers. Portsmouth Island is best accessed with a 4WD vehicle, while the Shackleford Banks can be accessed via a passenger ferry ride from the town of Beaufort or Morehead City. Where are the best shelling spots in the Cape Lookout National Seashore? Virtually any stretch of beach within the Cape Lookout National Seashore can be a great shelling destination, however regular beachcombers report having the best luck near the tip of Cape Lookout, as well as along Portsmouth Island in the northern region of the National Seashore. 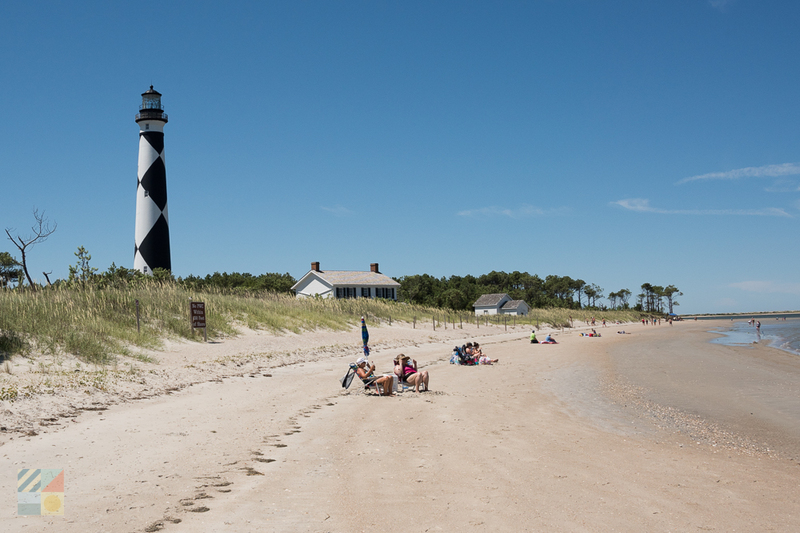 When is the best time to visit the Cape Lookout National Seashore? The best time to visit Cape Lookout National Seashore is arguably in the fall and spring months, when the climate is moderate, the fishing and shelling are exceptional, and the local and notorious mosquito population is comparatively low. Are there mosquitos on the Cape Lookout National Seashore? The Cape Lookout National Seashore is infamous for its mosquitos, especially in areas that are away from the beach such as Portsmouth Village. Visitors will want to bring along plenty of bug spray if they are exploring areas of the National Seashore that are away from the oceanfront shoreline. Are the beaches crowded in the Cape Lookout National Seashore? 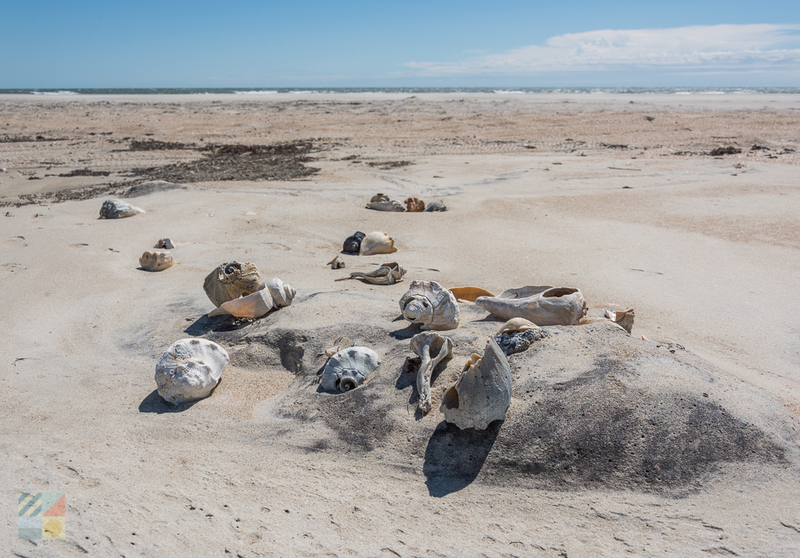 Though the Shackleford Banks can get popular in the summertime, the beaches of the Cape Lookout National Seashore are generally isolated and fairly deserted year-round. This is especially true for harder-to-reach areas of the National Seashore, such as Portsmouth Island.